Lambeth Cemetery is the final resting place of many Lambeth and Wandsworth residents. There are spaces available for burials today. Situated in Blackshaw Road Tooting since 1854, Lambeth Cemetery was developed by a parish burial board in 1854 following the Metropolitan Burial Act of 1852 which was a response to the second cholera epidemic of 1848-49. At the time this was one of a series of measures related to public health problems consequent on the growth of London. The cemetery is organised as a rectangular grid of paths and is sited just east of the River Wandle. The crematorium is situated within the cemetery grounds. 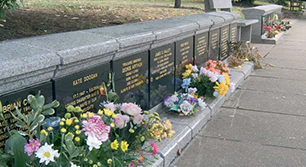 There are several war memorials including one to memory of Lambeth civilians killed during World War Two, among them, the many victims of a direct hit on a Kennington shelter. Lambeth Cemetery is said to house 250,000 burials and was associated with Victorian music hall artists, notables including the comedians Dan Leno and Stanley Lupino, the Music Hall Guild of Great Britain and America have more information about musicians and actors from this era buried here. Please visit them at www.themusichallguild.com. We can accommodate all faiths or non-religious services at the chapel. An celebrant or minister of faith should be arranged through your place of worship or a funeral director. You may also wish to have a service at your own place of worship followed by a committal service in our chapel or at the graveside before the interment. It could also be preferred to hold a direct service, where the memorial has already taken place and the coffin is brought directly for cremation or burial. This can be with or without family present. You may prefer to say a few words or have family or friends lead the service, we can give guidance and advice and show you the chapel in advance if required. We also offer a waiting service for cremation, where the coffin can be brought to the crematorium the day before to rest before the funeral. Please discuss this option with us or your funeral director. Built in gothic revival style, the chapel is available for services prior to a burial and can accommodate around 80 people. In the chapel we have an organ if required to accompany hymn singing – an organist will need to be arranged through your Funeral Director or place of worship. There are also facilities to play CDs, mp3 or smartphone playlists which may be supplied by family and friends. Please contact the office or your funeral director for any music requests. The chapel can also be used for a memorial service or chapel service even if the funeral is taking place elsewhere or at a later date. The exclusive rights of burial in a private grave are leased on the basis of a 25, 50 or 75 year duration and is renewable but can’t be purchased in advance. The maximum years that can be held on any grave is 100 years. Burials can be arranged for citizens that don't live in Lambeth, however there are higher charges for this. Wandsworth residents will buried at the same rate as Lambeth residents but proof of residence is required. We have a number of burial chamber options at the rear of the cemetery, these can be purchased in advance and can accommodate an American dome style casket. These are sold with 50 years exclusive right of burial. The same fees apply to resident and non-resident burials. The regulations for Lambeth Cemetery were revised in 2017 and we now only allow headstones on bases and traditional kerb style full memorials in most sections. Your selected Monumental Mason will advise you on the sizes and types of stone permitted at this cemetery and will apply to us for the necessary permit to carry out the work. 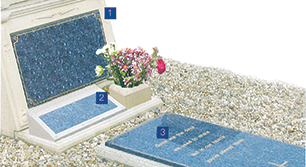 Only the registered owner of the grave can authorise any memorial work. If the owner is deceased, it is a simple matter for near relative to transfer the ownership. Please note that a fee will apply. 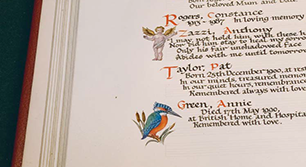 There is also a Book of Remembrance available to commemorate those buried in the cemetery, this can be inscribed on a date of your choosing and may be placed in conjunction with a monument. These are available for all locations and both burials and cremations. There are different types of chambers available and Lambeth and Streatham cemeteries.